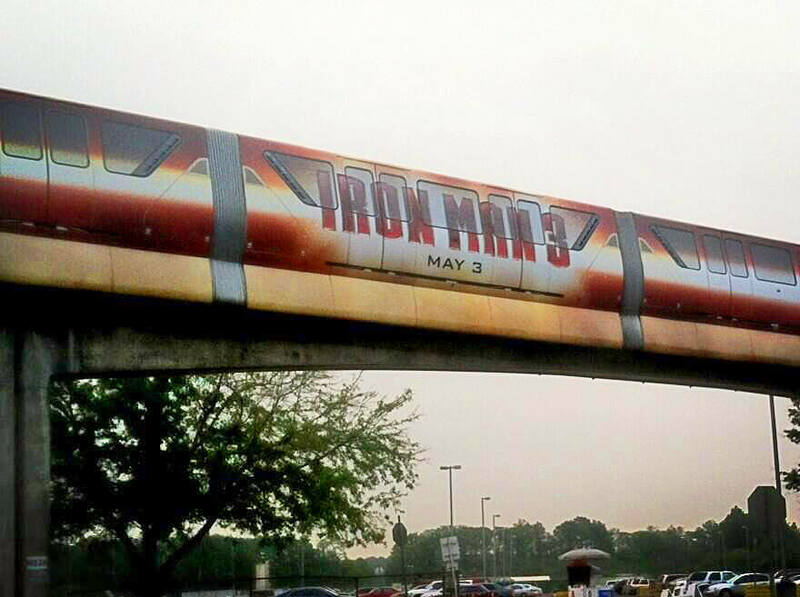 The latest in a line of wrapped Walt Disney World monorails debuted today promoting “Iron Man 3.” With images of Iron Man and Iron Patriot flying down the beam, the monorail is advertising for “Iron Man 3,” which opens in theaters on May 3, 2013. 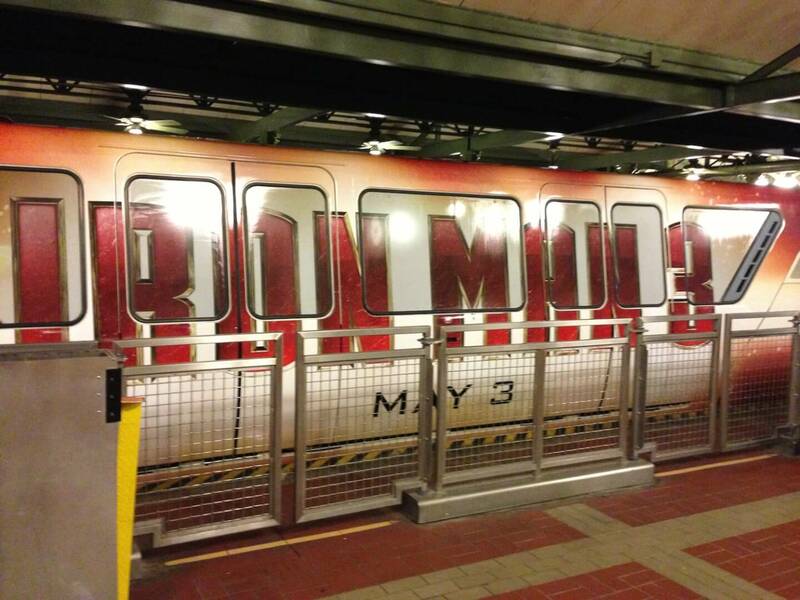 The monorail is branded with Stark Industries, Tony Stark’s company in the series. 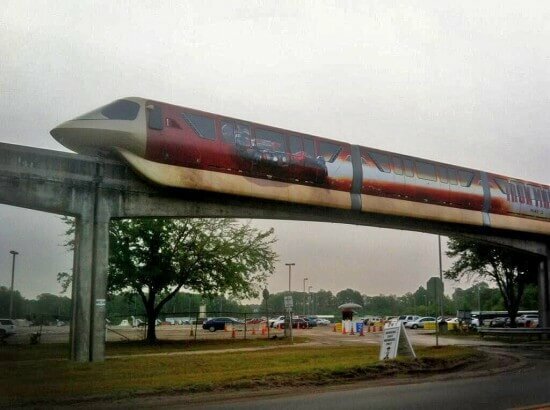 I know some people don’t like when they do this because they like the vintage and history of the monorail colors but I think it’s cool because its something unique and brings something different to the rail without totally losing the original colors cause its a wrap. also feels cool when they bring back the color it’s covered cause you tend to feel like you get an old friend back and remind you how much u enjoy certain colors. I don’t care what is on the sides of the monorail, I just wish I was there right now! Now why did they wait till I was gone? 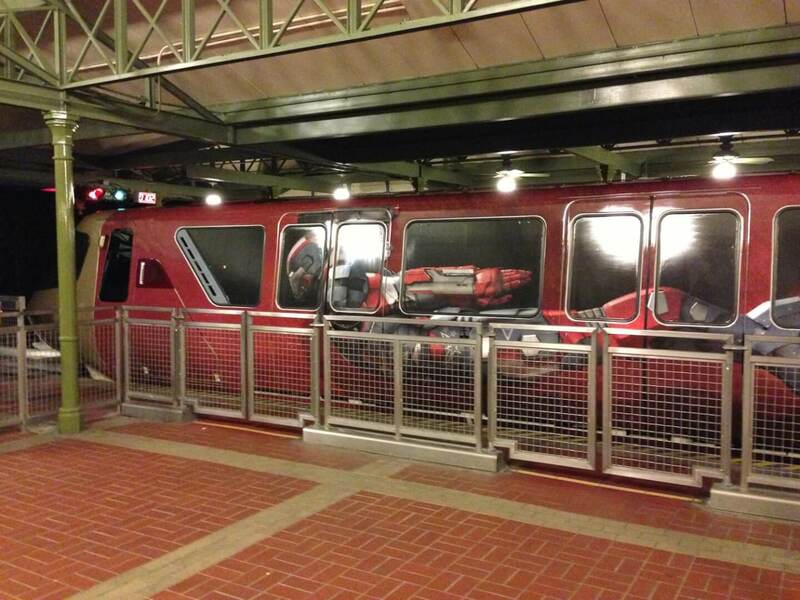 I was on the monorail Friday. DW is a huge Ironman fan and this would have made her day. Each of the wraps for the monorails has been great. The idea of using the monorail as public transportation in the largest institution of its kind on the planet would make Walt smile. 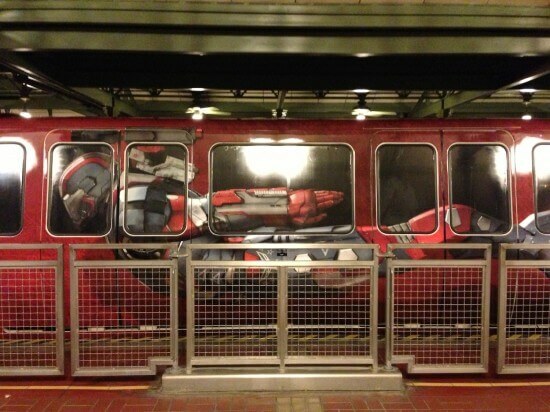 WDW is a historical place, but it is also someplace to see the cutting edge of art and technology in one place. 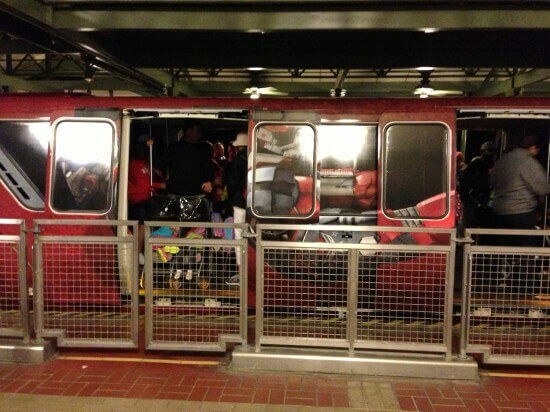 I do know it was riding the express route (TTC-MK-TTC) on 3/23/2013. 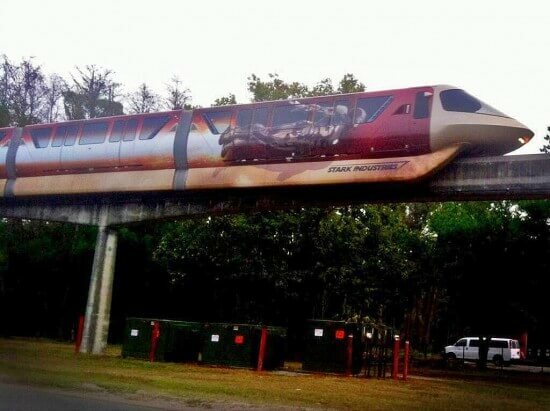 A monorail in Iron Man Red and Gold? What’s not to like about that? I realize the too costly garbage comment. I can’t stand the appear, sound and feel on the Beats.